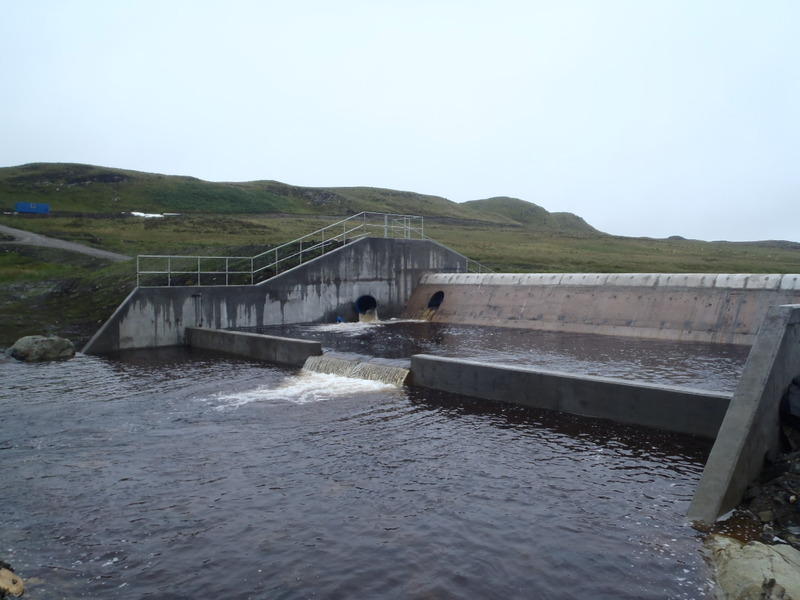 The Ederline hydro scheme (1900kW) is located to the southwest of Loch Awe in the west of Scotland. 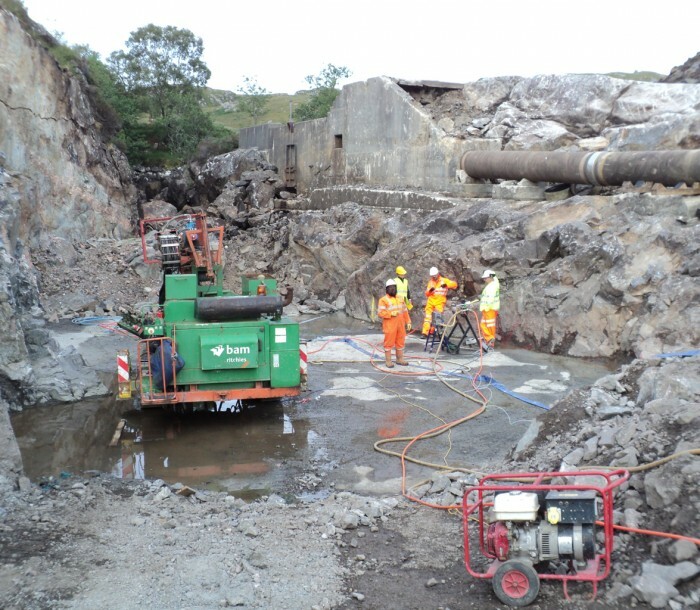 In 2009, Hydroplan began with the development of the scheme, which included a dam on Loch Gainmheach. 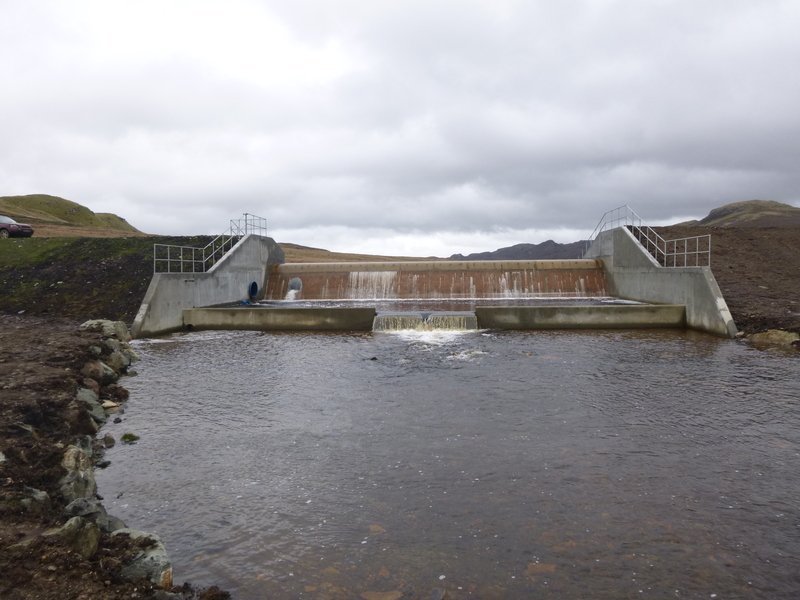 The dam spans the mouth of the Socaich Burn and by raising the loch level it reverses the flow into the adjacent Loch nan Ceàrd Mòron, which has an intake to the penstock pipeline at the far end. A compensation flow is passed through the dam, continuing its natural flow downstream. At times of high water levels, the excess water flows unimpeded over the dam to join the natural river flow. The dam was completed in October 2013. The scheme has a static head of about 214m which is converted to electrical energy via a twin Jet Pelton turbine. The turbine is controlled autonomously by a programmable logic controller (PLC) and operated through a human-machine interface. Embedded within the PLC are Stop Start Initialisation (SSI) and reservoir fluctuation control smart control loops. The SSI allows the revenue of the stored water to be optimised at times of day when the best energy prices are available by breaking down the 0.7m reservoir operating range into four water level bands. At times, manual override is required in certain weather events to optimise revenue. On Loch Gainmheach, artificial rafts are installed during the summer months to encourage the breeding success of a native protected bird species – the Black Throated Divers. 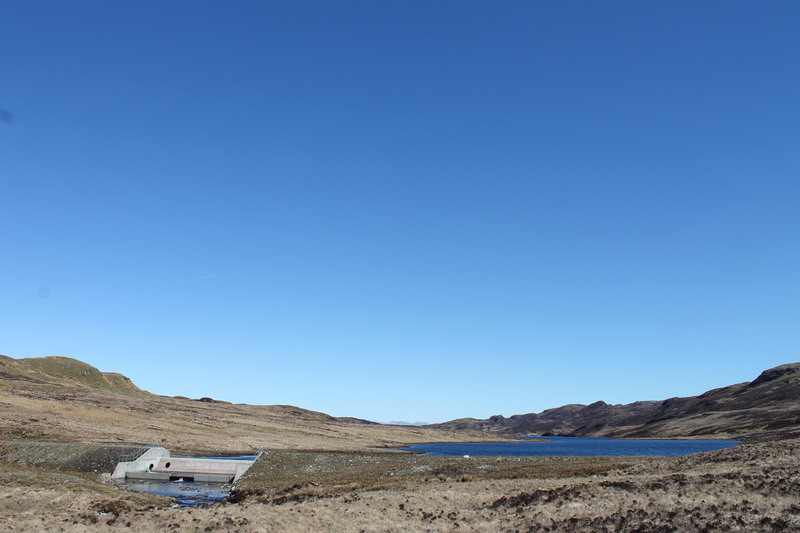 The operation of the reservoir is aligned with this aim by controlling water level fluctuations to less than 0.4m per week. This restriction has been successful except at times of flood or drought events.